Ace Rug and Furniture Cleaning has been in business since 1951 offering a variety of services for cleaning residential and commercial properties in Los Angeles. 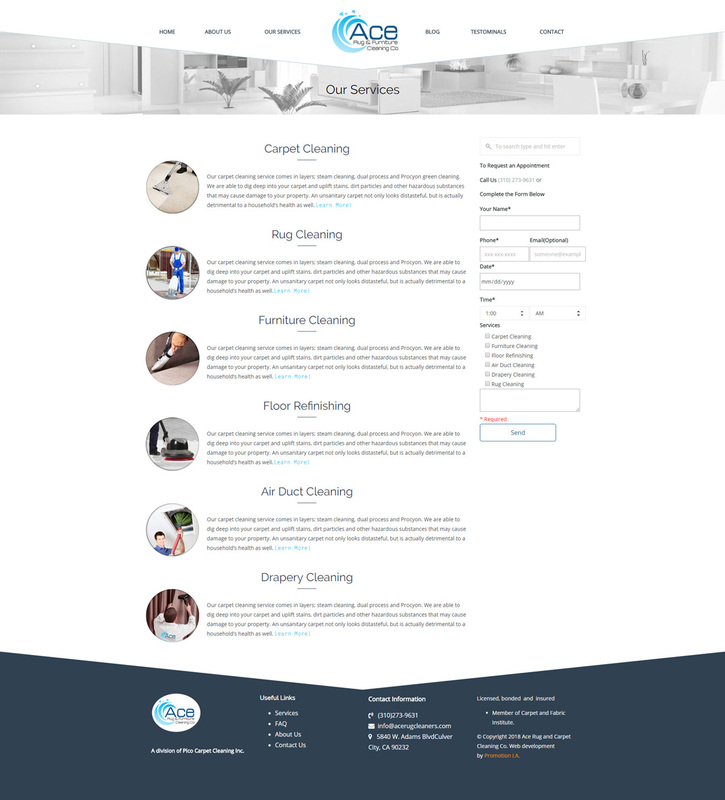 We transformed their look from an older, minimalist design to a modernized front end user interface that pops. 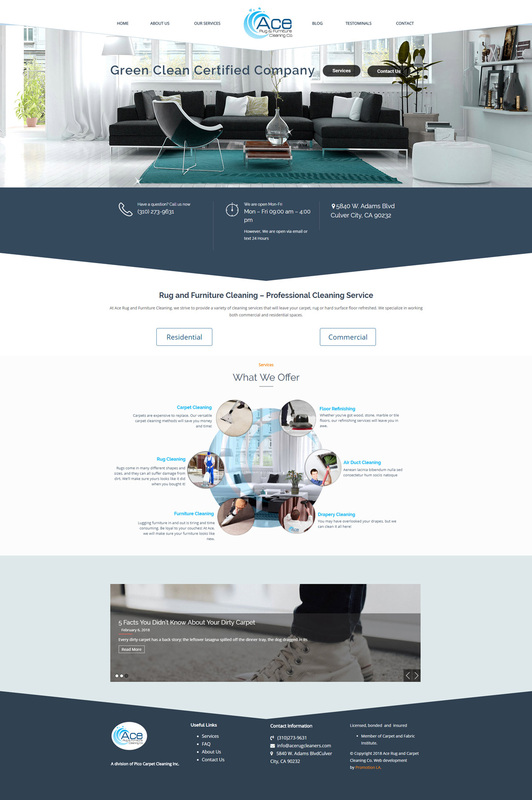 Not only did we create a beautiful aesthetic, but the back end is optimized to create search visibility which will spread the Ace brand further.